Information about Family Weekend 2019 is coming soon! Stay tuned for dates and details. Registration for Family Weekend 2019 will open in late May/early June. Need a hotel for Family Weekend? Check out this listing of hotels our friends at the Convention and Visitors Bureau created just for us! Have suggestions about new Family Weekend events? Suggested changes to programming? 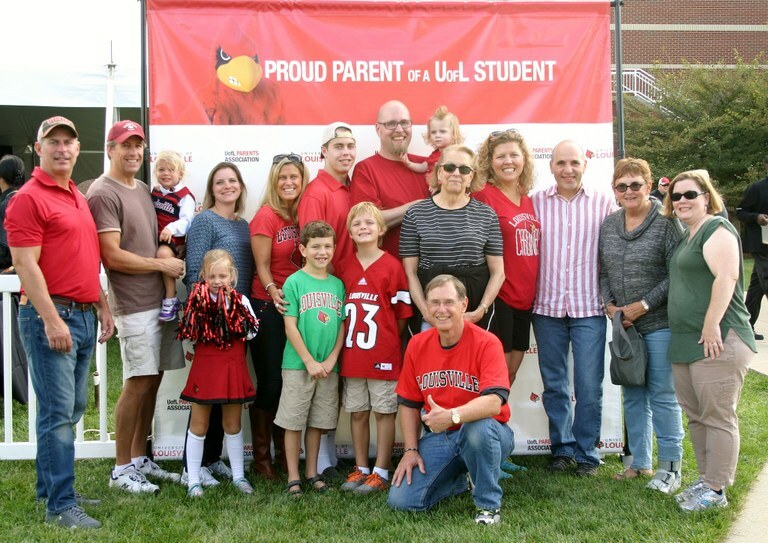 Email us at parents@louisville.edu. We'd love to hear your thoughts! 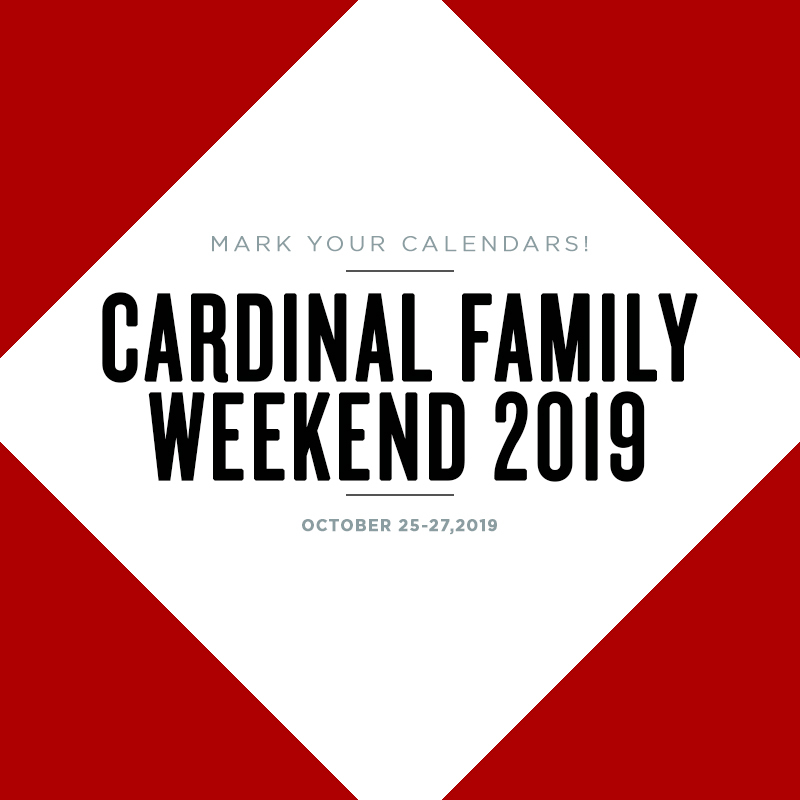 Family Weekend 2019 is full of tradition and excitement and is a wonderful time for parents and families to reconnect with their student, allow students to share favorite campus places and activities with their family, and meet other Cardinal families. There are exciting programs and events to explore and enjoy the vibrant Cardinal community. NOTE: Parking will be available at the Floyd Street Garage for $5.00 CASH ONLY. We would like to encourage families to bring one non-perishable food item to donate to our NEW on-campus Food Pantry set to open Fall 2018 that will benefit our UofL student body population. There will be a drop box at the Red Barn during the FREE Welcome Cookout! *The Pre-Game Tailgate and Lunch on Saturday is a catered event, not an open tailgate area. No outside food, drinks, or vehicles will be permitted in the area. All attendees (including students and children ages 8 and up) must have a ticket for admission. Students will NOT be allowed to use their meal plan at this event. **If your student has season tickets, they do not need you to purchase an additional ticket for them to attend the game. HOWEVER, if you wish for your student to sit with you at the game, you MUST purchase them an additional ticket. Lower-level seats are in the 200-level of the stadium. Upper-level seats are in the flight deck area of the stadium. Parking is NOT included. 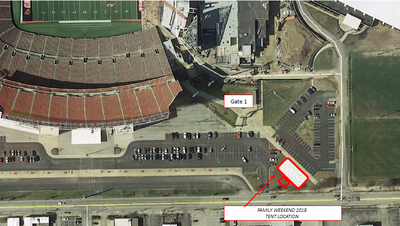 General parking is available at the Kentucky Exposition Center and/or surface roads west of the stadium. Limited parking is available at the Student Activities Center and Floyd Street parking garage. We would like to encourage families to bring one non-perishable food item to donate to our NEW on-campus Food Pantry set to open Fall 2018 that will benefit our UofL student body population. There will be a drop box at the Ville Grill during the Family Brunch! ***If your student has a meal plan, he or she may use a meal swipe for themselves on Sunday morning for the brunch. Students WILL be allowed to use their meal plan at this event. You do NOT need to purchase an additional ticket for them for this event. Your student will be allowed to use their meal plan at this event. Enjoy the weekend or the events of your choice and become a part of our family tradition!